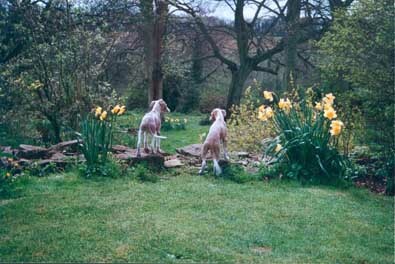 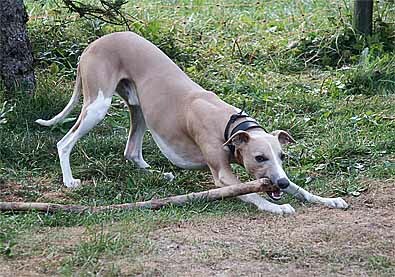 Phoenix produced a lovely litter to Splash and although reluctant to sell puppies abroad, I was persuaded by a friend of a friend to let one go for lure coursing in Belgium. 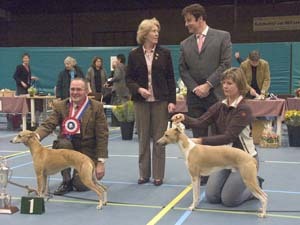 Ironically, he grew a centimetre too tall for championship meetings but proved a very successful first show dog for his owner, Tinne van Hooydonck. 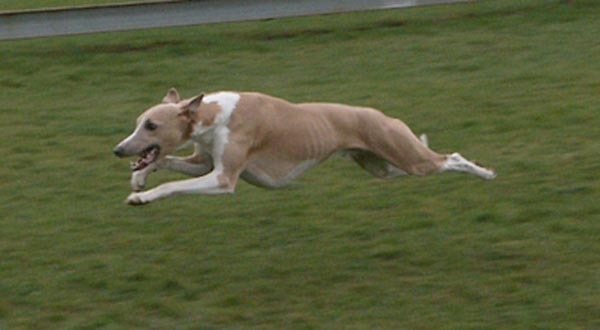 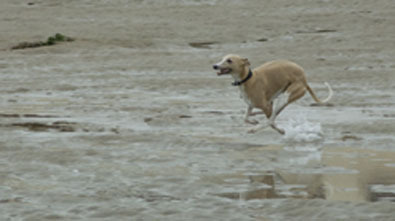 Invariably presented in immaculate condition, Bowie nevertheless has lots of fun at home, running and chasing and doing all the things a whippet loves most. 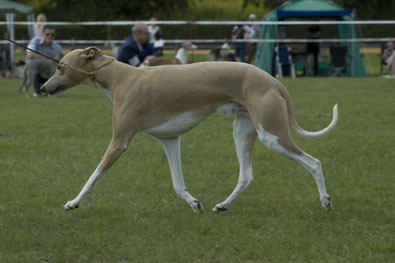 A champion in Holland, he has also won CACs in Germany and Belgium.